UW-Madison biochemist Robert Burris is shown in this photo published in the State Journal in 1998. He died Tuesday at age 96. Robert H. Burris, a world-renowned UW-Madison biochemist who chaired the university's biochemistry department in the 1960s, died on Tuesday. He was 96. Burris was an expert on nitrogen fixation, the process by which certain microorganisms convert nitrogen from the atmosphere into a form that can be taken up by plants. He made major advances in the understanding of the biological systems involved, according to UW-Madison officials. "Bob Burris was a mentor to everyone he ever met and guided multiple generations of scientists and scholars with his intellect, his integrity and his humanity," said Paul Ludden, a former doctoral student of Burris's who is now provost and vice president for academic affairs at Southern Methodist University. "He was the leading figure in the world in the area of biological nitrogen fixation research and his impact on the field is felt generation after generation," Ludden said. Burris was inducted into the National Academy of Sciences in 1961, the American Academy of Arts and Sciences in 1975, and the American Philosophical Society in 1979. 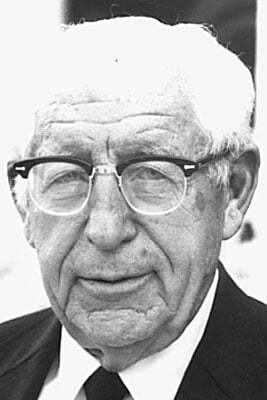 He was awarded the National Medal of Science, the highest honor the federal government accords scientists and engineers, from President Carter in 1980, and the Wolf Prize, sometimes referred to as the Nobel Prize for agriculture, from the Israeli parliament in 1985. Burris came to Madison as a graduate student in 1936, joined the UW-Madison faculty in 1946 and chaired the biochemistry department from 1958 to 1970. He trained more than 70 doctoral students. He continued to conduct research and publish scientific papers long past his retirement in 1984.